It’s not polite to call someone out of the blue anymore. Best to text them first. That’s why Facebook thinks video calling will live naturally inside Messenger. Yesterday, Messenger launched free VOIP video calling over cellular and wifi connections on iOS and Android in the U.S., Canada, UK, and 15 other countries. Facebook’s goal is to connect people face to face no matter where they are or what mobile connection they have. With Messenger, someone on a new iPhone with strong LTE in San Francisco could video chat with someone on a low-end Android with a few bars of 3G in Nigeria. 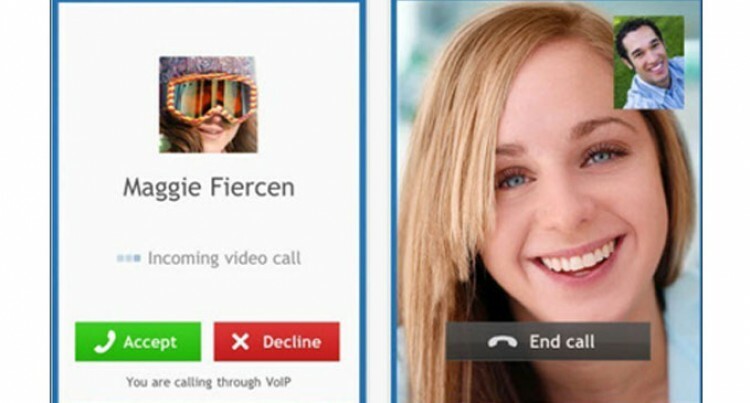 Facebook first introduced desktop video calling in partnership with Skype in 2011, but eventually built its own video call infrastructure. Bringing it to mobile could Messenger a serious competitor to iOS-only FaceTime, clunky Skype, and less-ubiquitous Google Hangouts. With 600 million Messenger users and 1.44 billion on Facebook, the new VOIP video feature has a massive built-in audience. Mark Zuckerberg said on last week’s Facebook earnings call that Messenger already accounts for 10% of global mobile VOIP calls. He believes free, high audio quality VOIP will displace traditional phone calling, and video calling could accelerate that. Chudnovsky knew Facebook needed to build mobile video calling after doing feedback sessions about Messenger’s audio calling feature. “Unprompted, a lot of people said ‘we’d like to have a face-to-face conversation over Messenger” he tells me. Building video into a chat app means these conversations can be emergent, spontaneous experiences, rather than scheduled occurrences. “Everything starts from a text conversation these days” Chudnovsky explains. “I’m not going to call you any more. I’m going to text you and ask if you have three minutes for a phone call.” Instead they can text in Messenger, and switch to video with one tap. Video calling in Messenger will become available today for iOS and Android users in Belgium, Canada, Croatia, Denmark, France, Greece, Ireland, Laos, Lithuania, Mexico, Nigeria, Norway, Oman, Poland, Portugal, the United Kingdom, the U.S. and Uruguay. More regions will be added in the coming months. If you have access, you’ll see the video camera icon in the top right corner when you’re having a Messenger chat with a friend who can be called. Tapping it starts a video call, which opens when the recipient accepts. Cameras start in selfie mode but you can toggle to the backside camera to show a friend what you’re doing. Messenger will adjust the quality of the call according to your connection. The demo I saw showed just a hint of pixelation and strong frame rate with 2 bars of LTE service in SF. It’s easy to switch to just VOIP audio, and Facebook will gracefully notify you if the connection weakens to where video won’t work. It’s all free on Facebook’s side, and users will only be charged for data use by their mobile operator, which they can avoid by using Wi-Fi. One smart thing Messenger allows is for one person to turn off their video feed to make the other person’s high quality. This way if you’re sitting at home and a friend is on a mountain in Norway, you can give them the extra bandwidth because what matters is seeing their scenery, not them seeing your bedroom.